OpenTech is a leading Web Applications development company with strong focus on service quality and client satisfaction. Our solutions scope includes custom-made Web based Applications development, online content management products. OpenTech is a leading Web Applications development company with strong focus on service quality and client satisfaction. Our solutions scope includes custom-made Web based Applications development, online content management products , Security - Inernet Filtering & Mail servers. We are committed to offer innovative & robust Web Applications and solutions that present considerable value for our employees, clients & internet users, through our positively energizing working environment. 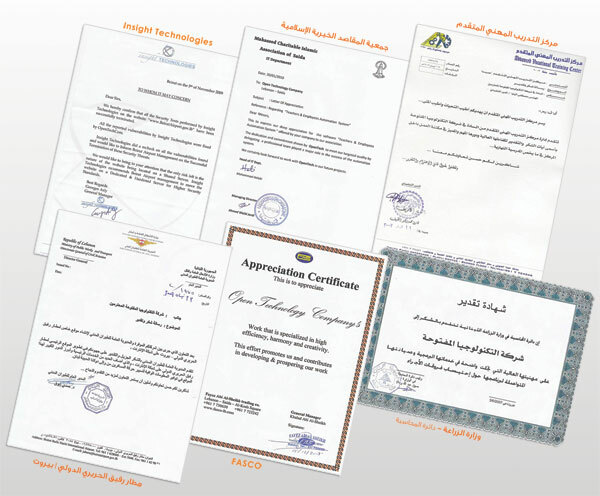 OpenTech was established in year 2006 and succeeded within a few years in securing long term relationship with number of leading clients in the region. OpenTech was part of many online success stories like many international airports, e-markets, news sites and many other projects. We have many other services and web applications for accounting and human resources , educational sector, Linux consulting and Open Source literacy. Designing web pages in the best ways by using the newest and most new technologies in the Open Source domain. Providing web based solutions and databases. IT consultation and on-site studies. Network installation, security systems including anti-viruses. Internet Filtering, restriction and tracking about the Internet usage. Administration and programming courses under Linux systems.